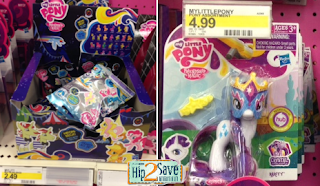 Head over to your nearest Target to score some great deals on My Little Pony Items. Plus these would make great stocking stuffer items. $1.24 after coupon & cartwheel! $3.49 after coupon & cartwheel!